We’re checking in on our three Live it to Learn it interns. 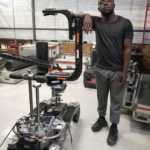 All three participants were selected to take part in our paid internship series that provides work experience behind the scenes in Toronto’s TV and film industry. Let’s see what they’ve been up to. 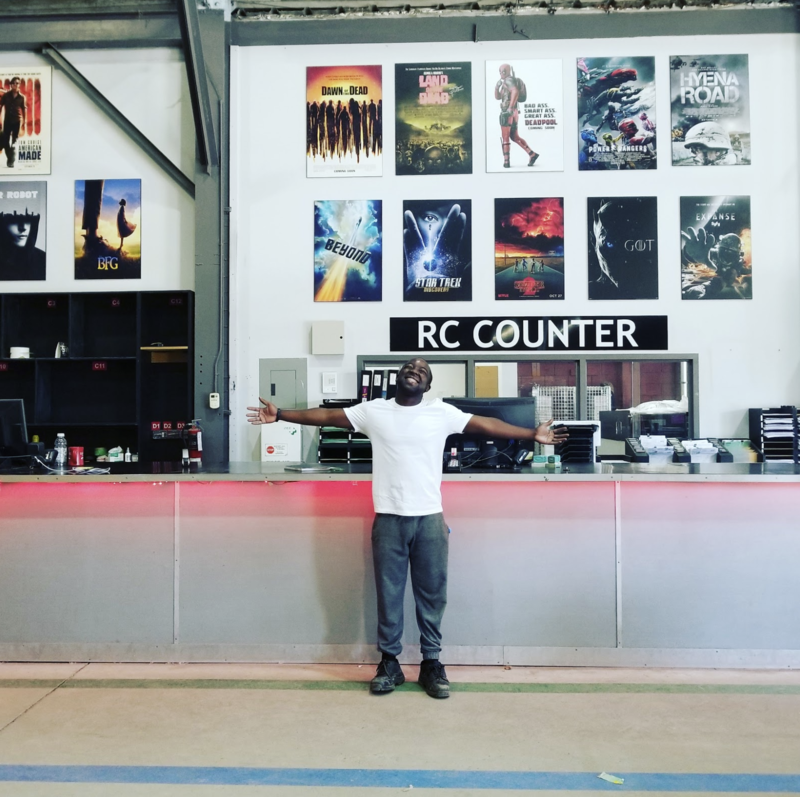 Nathan Allen was on the set of Kim’s Convenience for the two weeks while they were shooting this summer. 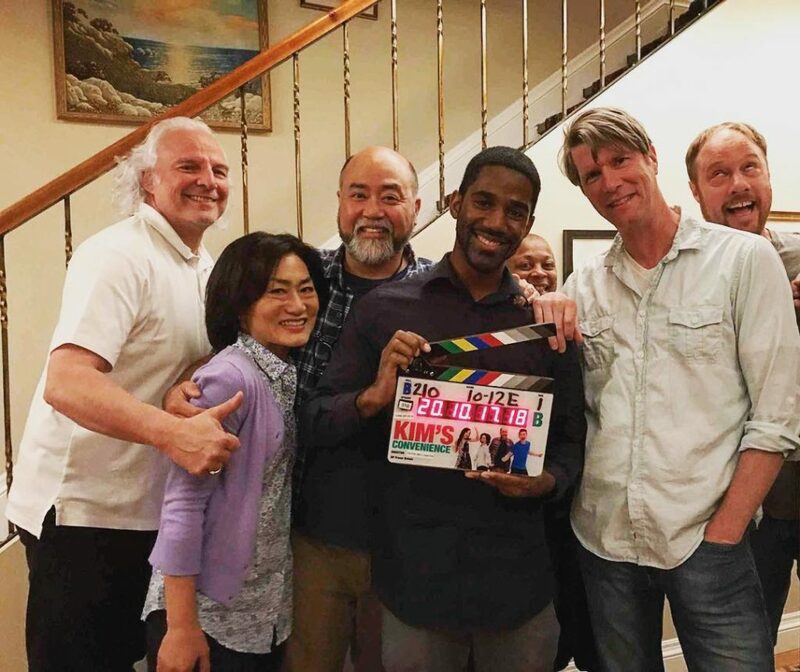 On the set of Kims Convenience (L-R)Ivan Fecan, Jean Yoon, Paul Sun-Hyung Lee, Nathan Allen, Koreann Ciandre, Peter Wellington, Kurt Smeaton. What was your experience prior to joining the show? I studied at York University and have a background in film editing. Ultimately, I would like to become an editor. What are some of the highlights from your time on set? Getting to learn a lot of details on all roles on set, having the opportunity to ask really technical questions and more creative ones as well. 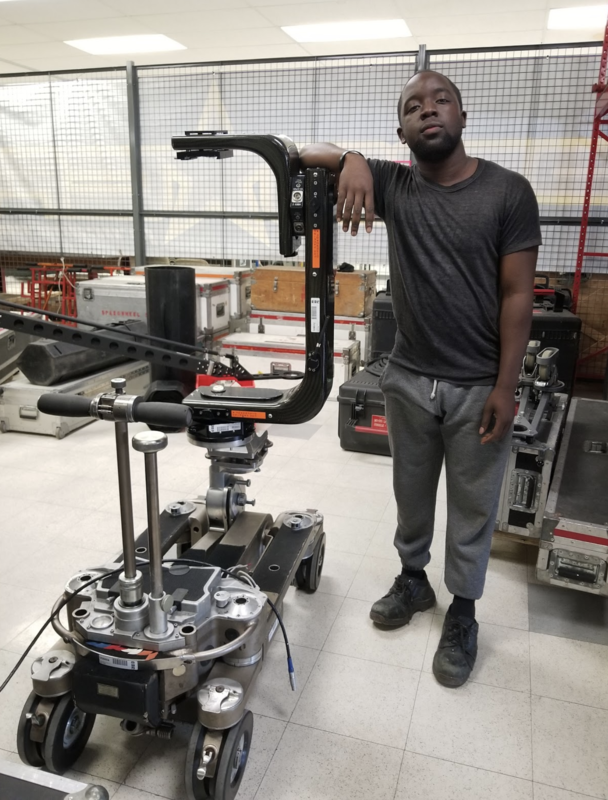 And making connections with all the different departments people on set. 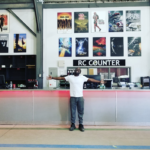 Once the crew realized that I was most interested in editing they made sure to focus on exposing me to aspects of post-production, like making time for me to sit in on the editing process and ask question and visiting with Deluxe Toronto, the colour correction house for Kim’s. I’d like to join the directors guild and start making my way as an editor. 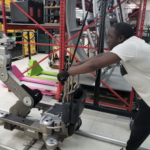 Chelsey Payette and Michael Amponsah are both currently interning at Sim. 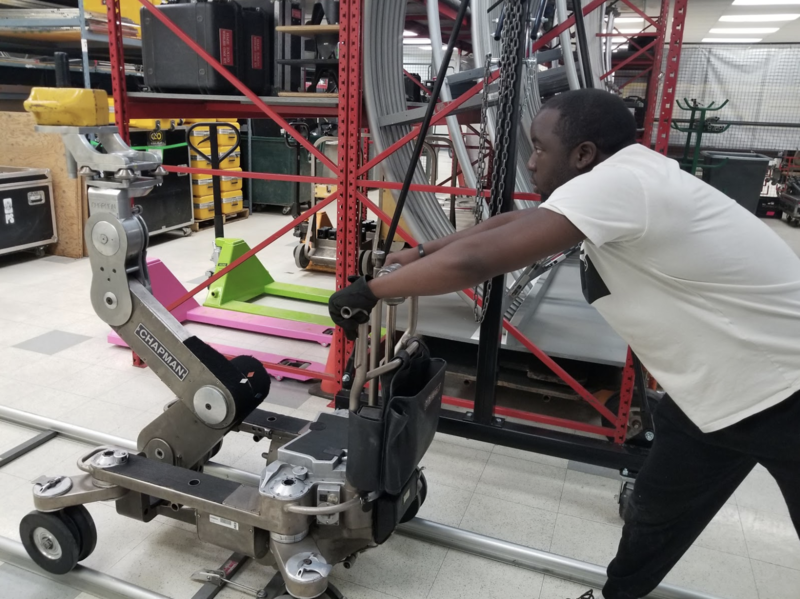 They’re working in the production house learning about all the equipment that helps to bring the stories to the big screen. Both Chelsey and Michael rotated through 2-week intensives with the grip and camera departments and next week they’ll begin their rotations on Frankie Drake Mysteries and Murdoch Mysteries. The camera is honestly a work of art. Josh from the Sim Warehouse was nice enough to set up an Alexa Camera for me so that I could play around with it. It’s a $100,000+ camera and I’m blown away by it. As someone who was never studied film I’ve never even been in the same room as a camera that advanced. It’s surprisingly user friendly, and if you’re good with computers and have a working knowledge of photography it isn’t hard to pick up how to use the camera. Assembling it is another story. 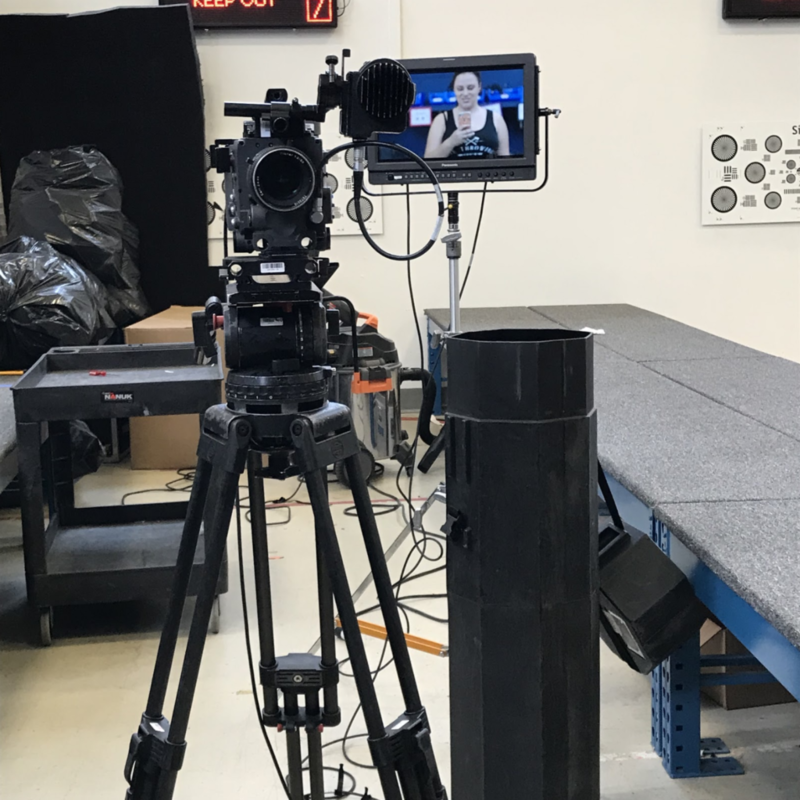 It’s completely customisable with different handles, batteries, viewfinders, monitors, cables, extensions, lenses, and who knows what else. Not to mention the custom heavy-duty tripod it sits on. The camera is honestly a work of art. View the gallery below to see some of Michael’s photos from his time at Sim. 2018 Submissions are Now Open! 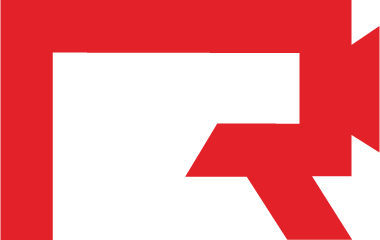 We are currently accepting submissions for the 16th Annual Regent Park Film Festival! It’s free to submit, find out how. ICYMI or if you’d just like to re-watch the Talkback after our Whose Streets? program check it out below. Moderated by Toronto journalist Desmond Cole and featuring Ravyn Wngz, Gloria Swain and Uranranebi Agbeyegbe. Digital activism can take shape in many forms. We take this journey into Digital Activism and resistance through the lens of collaboration between Indigenous and non-Indigenous artists. How do we work together to engage our common struggles and navigate the differences – both in the art we produce and the process of production? The panel welcomes the artist pairing of Kiley May and John Greyson, Milisse Watson and Amber Williams-King, as well as Sara DeCarlo and Kehinde Bah. Each pair will share their collaboration and process. The panel will be moderated by artist Archer Pechawis. The 15th Annual Regent Park Film Festival lineup is now live! Shorts, docs, features, workshops and more! Come out on November 15-18 and celebrate our 15th year! You can register your free seats here.